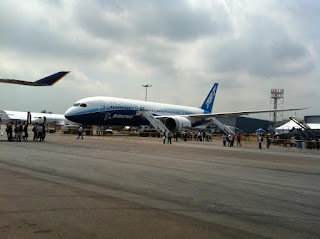 We had blogged about the opening ceremony of the much anticipated Singapore Air Show 2012. This blog is our assessment of business activity during trade days of 14th-17th February 2012. Firstly, we were under no illusions when we attended the show that this event was going to be dominated by Airlines making large buying announcements. This happens after protracted negotiations, sometimes lasting years before a sale-purchase is inked. This time the spot light was an Indonesian Airline, Lion Air, who placed an order for 201 Boeing 737 Max Aircraft for a record $22 Billion. They didn't stop there, next on their shopping list was ATR where they inked a deal for 27 ATR 72 turboprop Aircraft. 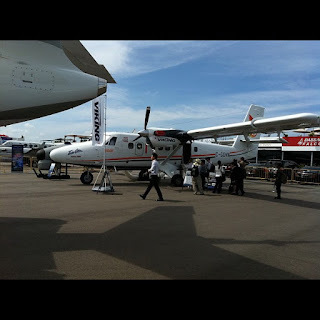 These Aircraft are valued at list price around $600 million , surely Lionair would have worked out a far better deal. Last but not least, they picked up two hawker 900XP Corporate Jets for their charter business. There were many other deals related to large Aircraft acquisitions and even the COMAC C919 Aircraft that were, predictably, picked up by Bank of China (BOC). There are many news sources on the internet that have details about the show and the photos from the event. Our Facebook page and twitter page also contain photos and details live from the event. There were a few Executive Jets, Turboprops and other GA Aircraft on the static display outside on the tarmac. Pictures of those are also available on our Facebook and our twitter page under " recent images". Those pages have videos featured as well. Chalets were alongside the static display area, various large companies held their meetings, discussions and deal making there. In the overall scheme of things, it appeared to be a very successful air show, confirming Singapore Air Show's position as the Third Biggest Air Show in the World today. 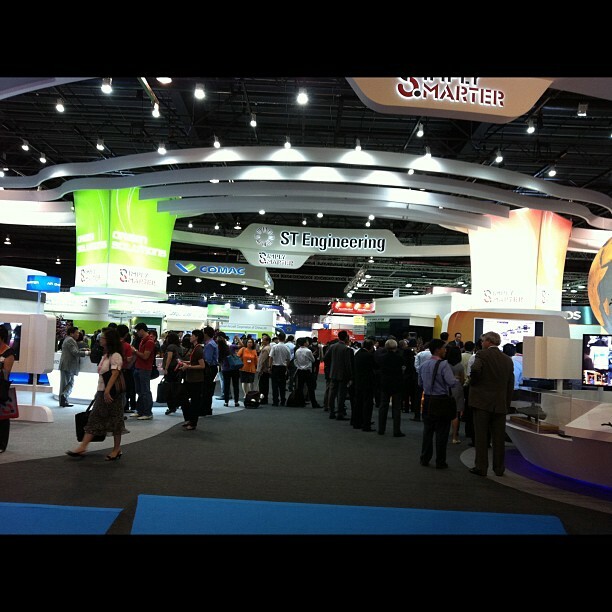 Inside the main hall there were hundreds of exhibitors, some 900 confirmed companies participating, and that made things very busy inside the hall. There were the usual issues with organizing something so big but most of the issues were handled well and expeditiously except for their wireless internet which really never improved over the 4 days of the show and as far as phone 3G services were concerned, that really was a let down as well. There are areas for improvement but the feedback from the Air Show organizers isn't satisfactory, as in receiving no feedback from complaining to their twitter account. Lets hope the next show, to be held two years from now will be better in terms of such communications infrastructure. As we mentioned, the Airline sector did well and there were some noises from Defense sales but none that was dramatic enough or one that warranted major headlines space on TV or papers. The F-15SG from RSAF was there, the F35 JSF was there and while they were crowd pullers, they didn't do much in terms of sales. Spectacular aerial demonstrations, as usual with all air shows, happened with the participation of the Malaysian Air Force "Smokey Bandits" flying their smokey MiG 29s. Indian participation in this show was mainly Government of India and Defense dominated booths. The India discussion forum was well attended unlike the South east Asia forum but the latter was more informative than the former in terms of GA. There weren't any big ticket announcements from Indian buyers for any Aircraft. Maybe they are waiting for making announcements at the Hyderabad Air Show to be held at Hyderabad, India from March 14 - 16, 2012 (trade days). However, as most Airlines in India are swimming in red ink, any announcement made by them needs to be evaluated on it's merits (or lack thereof). Indian Corporate sector may see some buying activity and some from the Government sector, neither of them have monetary issues plaguing them that cannot be handled! We will end this blog with a piece about General Aviation. Exactly as mentioned in our opening remarks above, there really wasn't much focus on GA outside of a few Corporate jets sold. We spoke to a number of companies representing GA and they had mixed results from being exhibitors at the show. Some like Piper Aircraft, had large stalls at the show and were seen having many meetings. We wish them well in this region and they have made some inroads into fleet sales to Flight Schools in the region. We had good meetings with Air Tractor and Field Air Australia (Air Tractor dealers for Asia Pacific). The USA pavillion had a large presence including a few GA companies in the mix. Major Countries that had their booths were The Netherlands, featuring Fokker Services and Fokker Services Asia. They had a good show with FSA inking a deal for maintaining ATR turboprop in the region. We wish FSA all success, their new Hangar facilities at Seletar Airport is state of the art and capable for servicing and heavy maintenance of a number of F100 jets and turboprops. 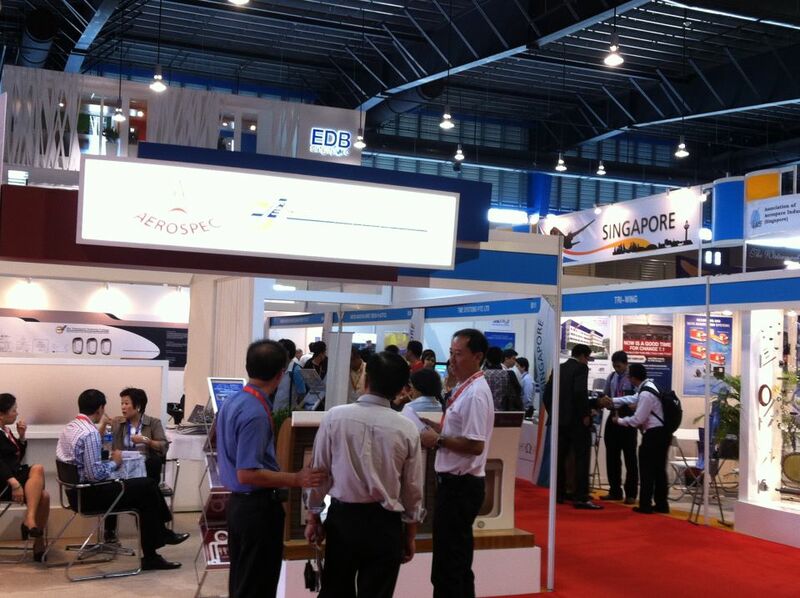 Local flight schools, Aircraft Maintenance Schools (ATTC Singapore) and aviation related employment placement companies such as Aerospec (Singapore) saw good turnouts at their booths. General Aviation Centre MAJ Aviation of Singapore who operate the Youth Flying Club at Seletar Airport, Singapore. They attracted some student crowds. 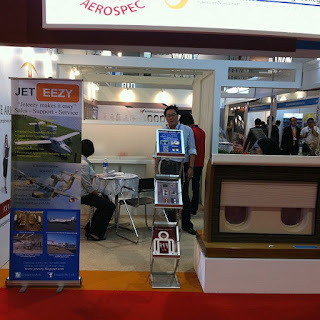 As for us in particular, we had a good show in terms of networking and in terms of re-establishing some ties in Aviation that we had before and strengthen some of the partnerships. We are hoping that some of our efforts translates into benefits for the company and it appears that we are on the right track for that in 2012. PS: We will download more of our photos of the show from our cameras and post the same at a later date.